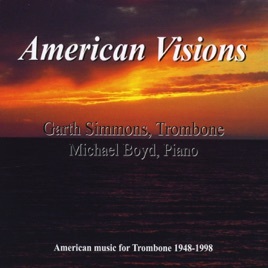 This new gem, from Toledo Symphony Orchestra Principal Trombonist Garth Simmons, is truly a world class recording in all categories. An extremely tasteful choice of repertoire, that is not always often heard these days, is masterfully brought into the light by the superior musicianship and execution demonstrated here by Simmons. If you’re looking for a new addition to your library and don’t need another copy of the same standard repertoire that we’ve all heard a billion times over, look no further and buy this now!!! An absolute, hands down must-have! !